Should You Do VBS This Summer? November isn’t a time when churches are typically thinking about summer and Vacation Bible School (after all, the hectic Christmas season is nearly upon us!). But as churches and volunteers look toward the next year and planning what activities to include, VBS will eventually come up. Some churches decide not to run a VBS over the summer for a variety of reasons. But we want to encourage you to keep hosting this summer outreach—you really are making a difference in the lives of children and families. And you never know the harvest that may be coming years down the road. Friends, I get why you might choose not to have VBS, but just remember there are kids who are excited to come and learn about Jesus at VBS, and we send them a message when we tell them that isn’t our focus anymore. VBS can be challenging with busy summer schedules, limited volunteers, and tight budgets, but we just want to encourage you, like Amber did, that many children look forward to VBS each summer. For some, this is their only opportunity to hear about Christ. Keep doing what you’re doing! Some do, but they can’t throw away the experience! Crafts are the glue that make the lessons stick! We try really hard to not do “throw away” crafts. Sadly many that are offered are just that. I cannot keep everything my child makes, and there are things the kids do not even want after it’s done. Therefore, we try to make things that will last and that kids want to keep, at least for a while. When we’re developing Answers VBS, we try to make it as easy as possible for you to plan, coordinate, and teach. We even have a helpful online VBS planning tool to make scheduling volunteers, sending reminders, and registering children a breeze. We also try to include high-quality craft ideas that won’t get thrown away when kids get home. But, hey, even if they do—crafts are the glue that makes the lessons stick! 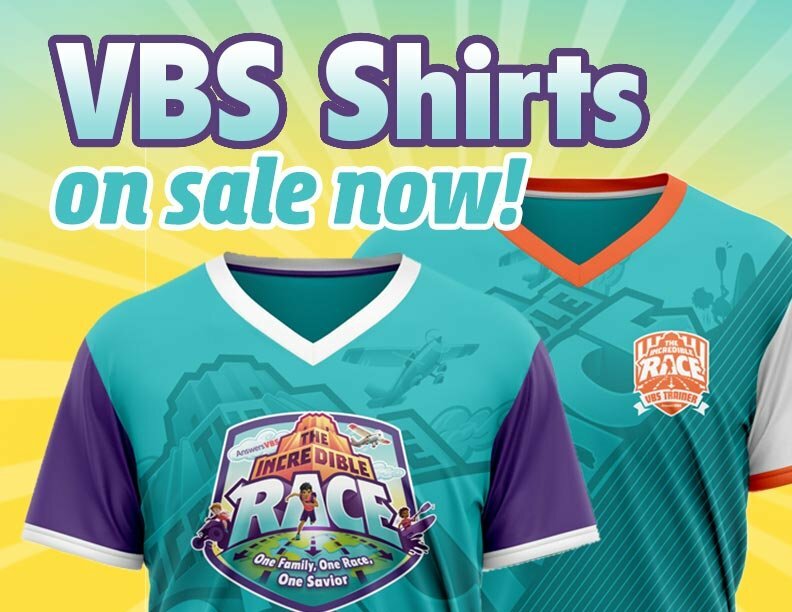 Start planning your 2019 VBS with the Incredible Race! Previous Article Readers Respond: Why Choose Answers VBS? Next Article Why Do VBS?